Includes: Orange Dress and Hat. Available Size: Womens - Small (2-4). *Hand Cuffs, Stockings and Shoes Not Included. This "Not Guilty" Adult Costume is a new twist on the classic prisoner costume. Comes with a dress that says "Dept. of Corrections" on the back and matching prison hat. 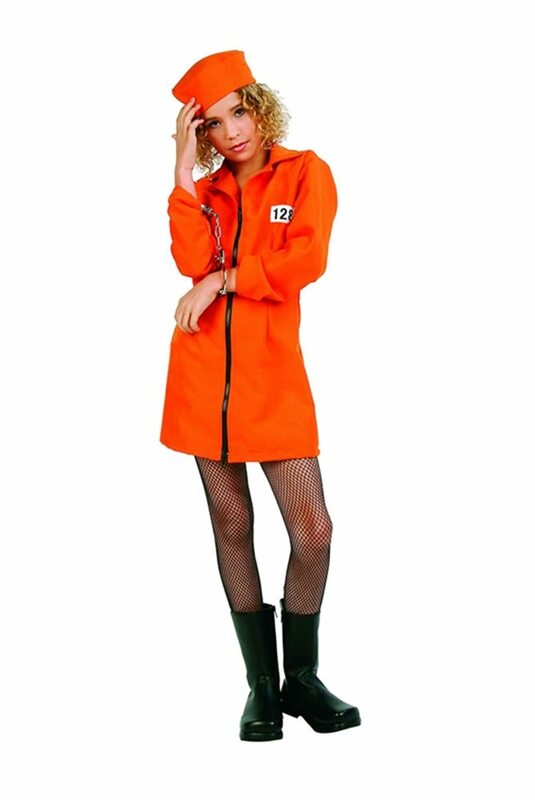 In bright orange, this prisoner outfit is perfect for Halloween.